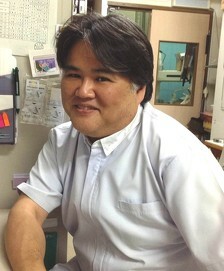 Doctor Shigeru Mita, who recently moved to Okayama-city, Okayama prefecture, to open a new clinic there, wrote a short essay in the newsletter published by Association of Doctors in Kodaira, metropolitan Tokyo. I closed the clinic in March 2014, which had served the community of Kodaira for more than 50 years, since my father’s generation, and I have started a new Mita clinic in Okayama-city on April 21. In the event of a South Eastern Earthquake, which is highly expected, it is reasonable to assume a scenario of meltdown in the Hamaoka nuclear power plant in Shizuoka prefecture, followed by radiation contamination in Tokyo. I recommend all of you to watch the NHK program, “ETV special: Chernobyl nuclear accident: Report from a contaminated land”, which is available on the Internet. I think it is important to acknowledge what people who visited Belarus and Ukraine, and heard the stories of the locals, have seen and felt there, and listen to those who served in rescue operations in Chernobyl in the past more than 20 years.